DETROIT – BMW AG wants 2011 to be a record sales year for the group and all its brands, a board member said. "This year we plan to sell well over 1.5 million units, achieving all-time sales highs for all three brands – BMW, Mini and Rolls-Royce," Ian Robertson, the company's head of sales and marketing, said at the Detroit auto show this week. BMW Group increased 2010 sales 13.6 percent to 1.46 million units, the company's second-best year. The record to beat is the 1,500,678 vehicles sold in 2007. Mini set a new sales record in 2010 with a volume of 234,115 units, up 8.2 percent on the year before. Rolls-Royce also achieved an all-time high in 2010 due to a 176 percent year-on-year sales surge to 2,711 units. The BMW brand's 2010 sales rose 14.6 percent to 1,224,280 units, but that was not enough to beat its record high of 1,276,793 cars and SUVs set in 2007. Robertson said that all of the sale records will be challenged this year, adding that BMW Group also wants to increase its segment share in all its global markets and defend its title as the world's largest premium carmaker in 2011. 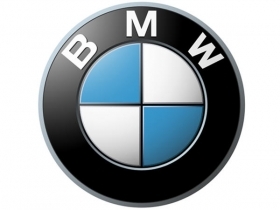 In 2010, the three-brand BMW Group outsold No. 2 Daimler AG's trio of Mercedes-Benz, Smart and Maybach by 293,466 units. Meanwhile, the BMW brand beat the Mercedes and Audi brands to remain No. 1 among premium marques.